Cupid is busy this time of year connecting perfect strangers, rekindling old relationships, and teaching us to love ourselves. 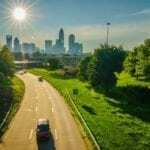 Whether Valentine’s Day is a day you loathe or a day you look forward to, there are plenty of events happening in Charlotte to keep you busy. Join a small-group for an exclusive five-course dinner by Chef Gene paired with a Legion Brewing Company Beer. Dinner takes place on February 14th between 7:00 and 9:00 p.m. Due to space limitations, tickets will go fast. Purchase your ticket and find out what’s on the menu here. Not a fan of the menu at Legion Brewing? Check out this other Valentine’s Beer Pairing Dinner at Primal Brewing! Dinner includes a Wild & Wonderful Mushroom “Cappuccino” paired with Charley Brown ale and Ale & Apple Jack Brined Pork Loin with a Not So Hairy porter. If your mouth’s not watering yet, Chocolate! Chocolate! Chocolate! concludes this delicious meal with a “MOHK” stout. Purchase your ticket and read what else is on the menu here. Looking for something a little less romantic? Prepare to Paint & Sip, or Sip & Paint, at the Majestique Center between 7:00 and 10:00 p.m. on February 14th. This event includes a comedy showdown, “The Comic Strip Experience” hosted by Jiwan Kapp, where five comedians from NC go head to head with five comedians from SC. Oh, and if you like free stuff, there’s a free buffet, free massages, two free raffle tickets, and free vacation vouchers! Buy your ticket and learn more about the show here. No one should be alone around Valentine’s Day. So get your pals together and head down to World of Beer to battle it out in a Valentine’s Trivia competition on February 13th from 7:00 to 9:00 p.m.
Reserve your team for free and learn more about the event here. On a more serious note, dress to impress at the SALEH Valentine’s Day Mixer on Friday, February 15th from 8:00 to 11:00 p.m. at the Bethel Outreach International Church. The mixer is geared towards young adults and includes a night of live music, food, drinks, and fun activities! Who knows, maybe you’ll meet the peanut butter to your jelly. Purchase your ticket and learn more about the event here. Join the Briggs Collision / Automotive Triage Charitable Groups of Concord and the City Club at the Gibson Mill for a night of valet parking, red carpet entries, roses, photos, and escorts on February 14th from 6:00 to 11:00 p.m. The fully catered romantic dining experience offered at 6:15 p.m. or 7:30 p.m., is followed up with games, dancing to a live DJ, and a cash bar lounge. The event team also customizes each table based on information provided by couples. Proceeds from this event go to local schools and their leaders. Buy your tickets and learn more about the event here. 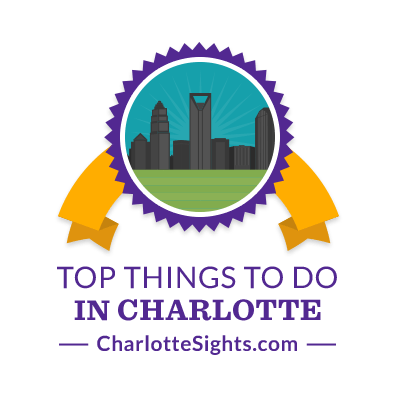 Single or taken, get out there and enjoy the Queen City this Valentine’s Day!